It's pilot season, and stage stars are landing sweet roles! Among the latest are Ana Villafañe (On Your Feet! 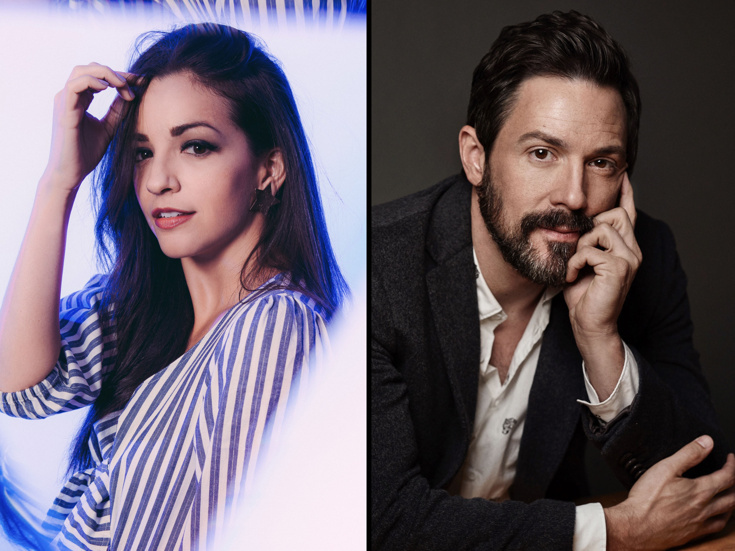 ), who is newly announced to star as elementary school teacher Lea Carter in CBS' To Whom It May Concern, and Tony winner Steve Kazee (Once) slated to appear as journalist Alex Fletcher in Fox's Lovestruck, according to Deadline. Hats off to this talented pair! We're crossing our fingers that these pilots get picked up. Patti Murin, star of Disney's Frozen, and Alex Boniello, of Dear Evan Hansen, have been selected as the official co-hosts for the 13th Annual NAMIWalks NYC fundraising event on May 11. Held during Mental Health Awareness Month, the annual 5k event is the country's largest mental health fundraising walk with 5,000 expected participants walking to fight discrimination, erase the stigma associated with mental health conditions and raise money to provide year-round services. NAMI (National Alliance on Mental Illness) builds better lives by providing support, education and advocacy for families and individuals of all ethnic and socio-economic backgrounds who live with mental illness. For more information, click here. Tony nominee Reg E. Gaines (Bring in 'Da Noise, Bring in 'Da Funk), artistic director of Downtown Urban Arts Festival, has announced a variety-filled slate of programming for its 2019 series of events. The eclectic five-week festival, now in its 17th year, presents iconic '90s music, a cutting-edge poetry slam, live theater and independent films from April 11 through May 18 in downtown NYC at Joe's Pub, Nuyorican Poets Cafe, The Wild Project and Tribeca Film Center. Among the works set to appear in the 2019 live theater series are The Delay by Ledia Xhoga (April 24 at 8:00pm), Black and Ugly as Ever by Porsha Olayiwola (April 24 at 8:00pm), Ridin' Shotgun by Juan Ramirez Jr. (April 25 at 8:00pm) and Gambled Eggs by Victoria Moy (April 26 at 8:00pm). For a full listing of Downtown Urban Arts Festival's 2019 programming, click here.